1. Connect Residents to Places They Go Often With New Roads, Sidewalks, and Bikeways. Connect neighborhoods to schools and local businesses, by building or improving local roads, as well as constructing 50 miles of sidewalks, pathways, and bikeways by 2018. That way, residents will not need to go on major highways to travel everywhere. 2. Build, Improve and Repair Our Roads, Highways and Bridges – and Complete I-526. Collaborate with regional leaders and others to complete I-526, improve bridges – especially the entrances and exits – and use every formal and informal tool available to the mayor to improve our roads and highways to relieve traffic. 3. Move People With Smart Rapid Public Transportation Utilizing the Latest Technology. Utilize the latest technology for public transportation, by piloting a program, in high volume commuting routes, with cutting-edge electric buses equipped with high-speed wireless internet and traffic signal sensors. 4. Capitalize on our Waterways by Introducing a Ferry Service. Pilot a ferry service to make commuting faster, particularly between Daniel Island and the Peninsula. 5. Create Transportation Infrastructure Before Development Is Complete. 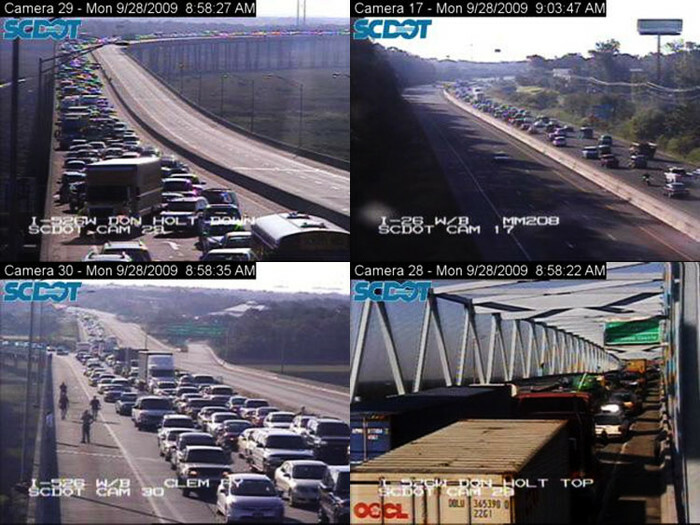 Ensure transportation infrastructure is in place before development is completed, rather than an afterthought once we are all sitting in increased traffic. 6. Move the Visitor’s Center North – Alleviating Traffic and Freeing Parking Spots. Move the Visitor’s Center to the northern part of the peninsula, improving parking and congestion downtown. 7. Plan Strategically for Short-Term Congestion Events to Minimize Traffic. Use traffic officers and crossing guards at reoccurring and special events, such as sports games and select school dismissals. By taking steps in planning, we will avoid numerous high-volume special events in the same concentrated area that together clog our streets and prevent residents from enjoying the events because they are stuck in traffic. 8. Employ the Latest Technology to Make Parking More Efficient. By adopting smart parking technologies, public garages and city meters will accept credit cards and pay-by-phone technologies. The latest parking apps can help drivers also see which lots have parking – saving time in finding a spot and improving flow. 9. Be Nimble and Smart about Funding – and Utilize New Responsible Funding Streams. Identify and leverage new responsible funding streams, such as public-private partnerships, philanthropy for pilot projects, federal funding with programs like the Congestion Mitigation and Air Quality Improvement program, and stop the spineless legislators in Columbia who refused to pass the gas tax. 10. Guiding Principles to Getting it Done: Quell the Naysayers and Excuse-Makers. The most common excuse for the lack of progress is a lack of funding. The truth is – what we have is a lack of will – and a comprehensive plan. As Mayor, Ginny will take responsibility for implementing a world-class mobility system for our city. This means setting our sights on world-class mobility, working well with others, getting citizens on board, piloting various programs, and providing Charlestonians with various transportation options. To Read the full plan see link below. 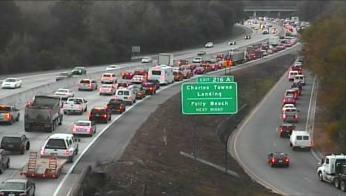 Everyone who is trying to get around Charleston and is stuck in traffic! The biggest obstacle to addressing our traffic and congestion is lack of political will. We must act. None of us can meet these mobility challenges alone. Together we can. Working with other leaders and stakeholders in our region is essential to success.,We’re all stuck in traffic now; we need to collaborate to get out of the jam. The Ginny Deerin “Accelerate Charleston” plan can be downloaded in its entirety here.